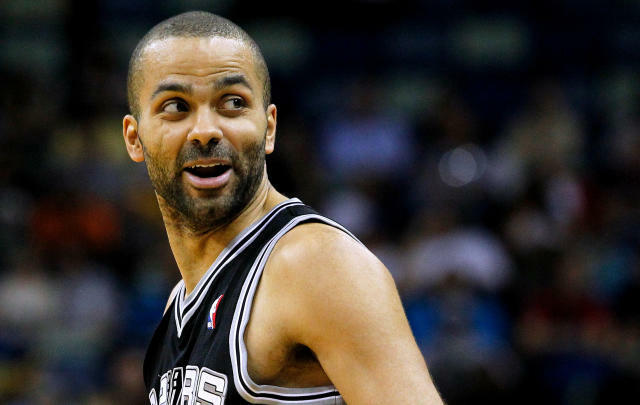 The "vanilla" San Antonio Spurs seem more like bad boys as of late. From Stephen Jackson's threatening tweet, to Gregg Popovich's decision to send his stars home rather than play in Miami (to the chagrin of commissioner David Stern), to a dig at a referee on Halloween, the Spurs' image has gone rogue. What also has changed for the Spurs is they are ranked atop the Yahoo! Sports NBA power rankings for the first time this season after earning a league-best 18-4 record. San Antonio has won five straight, is 10-2 against the Western Conference and 11-2 on the road. The Thunder are a close second and the two teams square off Monday in Oklahoma City. In case you were wondering, the Los Angeles Lakers have dropped to 18th. 1. San Antonio Spurs (18-4, previous ranking: second): Expect Stephen Jackson to get strongly booed by Thunder fans on Monday. 2. Oklahoma City Thunder (17-4, previous ranking: fourth): Still rolling after replacing James Harden with Kevin Martin, who is averaging 15.8 points. Harden averaged 16.8 last season. 3. New York Knicks (15-5, previous ranking: fourth): Not sure why both games were so early, but Knicks play their second and final regular-season game in Brooklyn on Tuesday then meet at the Garden on Dec. 19. 4. Los Angeles Clippers (14-6, previous ranking: seventh): The Clippers have won their past six games and haven't lost in December. Next up: four-game trip at Chicago, Charlotte, Milwaukee and Detroit. 5. Memphis Grizzlies (14-4, previous ranking: third): Memphis dropped two of its past four to San Antonio and Atlanta, and has challenge of playing next three games on road versus Phoenix, Denver and Utah. 6. Miami Heat (14-5, previous ranking: first): Reigning champion appears bored as Heat lost on road to then one-win Washington last week and by 20 at home to New York. 7. Golden State Warriors (14-7, previous ranking: 11th): Crack the top 10 for the first time this season after winning four straight. Golden State has a chance to make statement at Miami on Wednesday. 8. Atlanta Hawks (12-6, previous ranking: eighth): The Hawks didn't prove themselves as a real challenger for the Southeast Division crown during their 101-92 loss at Miami on Monday. 9. Utah Jazz (12-10, previous ranking: 19th): Jazz have won three straight. Utah faces tough Western Conference matchup at San Antonio on Wednesday. The Jazz are 4-9 on road this season. 10. Chicago Bulls (11-8, previous ranking: 12th): Derrick Rose (knee surgery) is progressing just fine, but doesn't appear on the verge of practicing soon, according to a source. 11. Brooklyn Nets (11-8, previous ranking: sixth): Went from hot to cold as Brooklyn is winless in four December games. A needed boost could come the Nets' way if they can beat Knicks at home again Tuesday night. 12. Philadelphia 76ers (12-9, previous ranking: 9th): Andrew Bynum voicing optimism he might overcome his left knee issues this season. Do you believe him? 13. Dallas Mavericks (11-10, previous ranking: 17th): The Mavericks have won three straight and Monday's win over Sacramento vaulted them over .500 for the first time since Nov. 21. 14. Boston Celtics (11-9, previous ranking: 11th): The inconsistent Celtics have split their four games this month and have tough games ahead against improving Dallas and at Houston and San Antonio. 15. Milwaukee Bucks (10-9, previous ranking: 14th): Bucks don't have anyone averaging over 19 points. Only two scorers they have averaging over 11 is Monta Ellis and Brandon Jennings. 16. Minnesota Timberwolves (9-9, previous ranking: 20th): Don't be surprised if Ricky Rubio returns from knee surgery in the near future. Coach Rick Adelman says Rubio's defense is underrated. 17. Denver Nuggets (10-11, previous ranking: 13th): Nuggets have a surprising losing record after dropping five of their past seven. If it wasn't for the Lakers' struggles, Denver would be getting more notice. 18. Los Angeles Lakers (9-12, previous ranking: 16th): Steve Nash's return has been delayed due to a nerve irritation in his leg. With Nash and Steve Blake out, time for Lakers to sign another point guard. 19. Indiana Pacers (10-11, previous ranking: 18th): Definitely has to be disappointing for newcomer D.J. Augustin to be demoted to third string PG. He is shooting 26.6 percent from the field. 20. Houston Rockets (9-11, previous ranking: 15th): Houston got coach Kevin McHale back, but was without leading scorer James Harden (sprained ankle) against San Antonio on Monday. 21. Portland Trail Blazers (9-12, previous ranking: 21st): The Blazers shot 0-for-20 from 3-point range against the Raptors on Monday, but somehow still won by 18. 22. Orlando Magic (8-12, previous ranking: 22nd): The Magic are playing decent basketball of late, including big road wins against the Lakers and Warriors. 23. Sacramento Kings (7-13, previous ranking: 27th): Kings swingman Tyreke Evans still hampered by a sore left knee. Sacramento showing some life after winning half of their past 10 games. 24. Detroit Pistons (7-16, previous ranking: 25th): Brandon Knight has picked up his game of late, averaging 24.3 points while hitting 10 of 15 3-pointers his last three games. 25. Charlotte Bobcats (7-13, previous ranking: 23rd): The Bobcats were on the upswing until an embarrassing loss at Oklahoma City sparked an eight-game losing streak. 26. Phoenix Suns (7-15, previous ranking: 24th): The Suns are in the midst of the worst losing streak in the West with seven straight losses. While not a playoff team, Phoenix has talent to be better. 27. New Orleans Hornets (5-14, previous ranking: 26th): Rookie Anthony Davis (ankle) could return to action Tuesday versus Washington. 28. Cleveland Cavaliers (4-17, previous ranking: 28th): Cavaliers finally catch a break as point guard Kyrie Irving is expected to return from finger injury Tuesday against the Lakers. 29. Toronto Raptors (4-18, previous ranking: 27th): Don't expect Raptors center Amir Johnson to play any time soon. 30. Washington Wizards (2-15, previous ranking: 30th): Wizards on upswing after winning two of their past four, including huge victory over the Heat. Bad news: It's anyone's guess when John Wall returns.